We know that the rate of convenience is proportionate to the technology deployed. More the technology, more the convenience to buyers, sellers, and agents. Without jumping into a history lecture, we can draw parallels between Henry Ford and WeWork. Evolution of consumer expectations works both ways, both from the consumer as well as from the provider’s end. Digging deep into his famous quote which says, “If I had asked people what they wanted, they would have said faster horses”, he wanted to make things more convenient. That made him a captain of the automobile industry, as he took the four-wheeler to the masses, a technology that changed the world forever. Shift to 2010, and we look at WeWork, the co-working space innovator. Had the founder offered a survey about people’s preferences, they would have probably asked for incremental improvements to current office space structures. But using technology as a platform to run and manage a shared workspace, including using the best online property management software, he raised the bar in consumer expectations from what real estate could offer to their corporate lives. 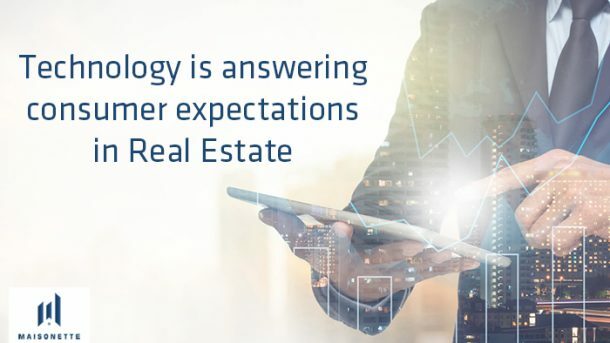 Let’s understand the evolution of consumer expectations while simultaneously tracking the evolution of real estate project management software or what we can call PropTech, which has solved and accelerated the former. For the horse-carriage businesses (remember Ford’s quote), or the corporate property space providers (disrupted by WeWork) who kept at their product lines that were generating enough cash, having an innovative and customer-centric focus by predicting future business models was the bus they missed. The real estate industry has been relatively immune to rapid change. But in our line of discussion, Real Estate 1.0 happened back in the 90s, when property software data companies along with marketplace firms like Homestore (now Move.com) offered the best online property management software. Those bunch of firms saw a boom until the mid-2000s. With the infrastructure market bursting onto the scene, incumbents started to notice the change in expectations, as consumers were moving from an ownership to a semi-ownership model. Shifting lifestyles, consumeristic habits and technology adoption influenced this advancement. For the next ten years, Real Estate 2.0 set the pace of the revolution of real estate project management software, moving from many product offerings to a service and a space arbitrage model, as technology began to meet changing expectations at scale. WeWork and AirBnB were the well-known names born during the 2.0 period. But some of the best online property management software providers like Maisonette started to see the business interest for their automation capabilities rise, essentially offered through a service model, which enabled operational efficiency at key property developers and management firms. The 2.0 phase ended somewhere around the mid-2010s. There are quite a few learnings. Technology and market movements shift consumer requirements, and it is critical for incumbents to understand the impact of customer experience in order to determine their medium-term success or failure, according to Pat Stroh, VP at data analytics firm Brunner. Look at this statistic: 88% of companies that were on the Fortune 500 list from 1955 no longer existed in 2014, showing market leadership without an ear on the customer’s pulse doesn’t offer returns. Customers today are looking for speed in service, transparency in a purchase or renting procedures, continuous engagement through the journey lifecycle, and more. Technology offered through real estate project management software is going beyond its typical characteristics of processing a job based on rules, but becoming intelligent through data and artificial intelligence that is improving it continuously. As the software underwent many cycles and improvements, the adoption was significant but scattered. The first two phases as discussed saw adoption in the industry, but not widespread as would completely upend it. The data was messy, incumbents thought their relevance would diminish, and some using basic accounting or administrative software was not compelling for stakeholders to adopt the technology. The advantages of the best online property management software didn’t become mainstream, as the process-heavy and industry began to show its fault lines. It became notoriously known to consumers for overshooting deadlines, inflating the cost of projects, skipping regulatory protocol, and causing inefficiencies during contracting. The customer kept ending up dissatisfied with a prolonged and unfavorable environment that impacted the image of the industry as a whole. But the situation today is improving as end-to-end real estate project management software by cutting-edge vendors like Maisonette are reducing costs, while increasing efficiencies of critical processes. Bit by bit, they are reducing the trust deficit and bringing confidence into the sector. After the initial phase where software initially complemented real estate processes and the succeeding phase which challenged the way we perceived and used real estate (think space arbitrage), today we are in the 3.0 phase. Venture capitalists at Bain call this the synthesis phase, where we are going to see the combination of multiple attributes of real estate project management software technology like big data, cloud, artificial intelligence and the Internet of Things that would offer advantages to the entire system: customers, sellers, property businesses, and asset monitoring. Technology is becoming central in people’s lives, and as the environment around them becomes more digital-ready, they are using tools like mobile, search and social channels to use new means of interactions, and benefit from personalized services that are becoming the norm. In real estate, players must extend their digital footprint through modules like property and facility management offered by some of the best online property management software vendors like Maisonette. The modules offer customized contracting, smart cost estimation or proactive asset management by using multiple data sources. The best online property management software will have to be in a dynamic state of fulfilling customer’s existing needs while anticipating future trends that ups the ante of customer convenience. Studies show that the top 5 percent of experiences that a real estate business can achieve will bring in 90 percent of the business, while the other 95 percent of experiences that are disconnected or unsatisfactory will bring in only 10 percent of the business. It shows the power a technology platform can offer to transform a company comprehensively, helping it become future-ready and agile in this age of disruption that has started to impact the real estate sector.